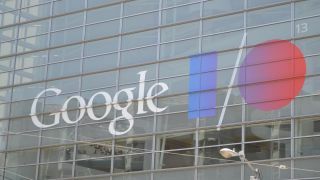 Google I/O 2014 will kick off June 25 and run through June 26, Google has announced. It may be two seasons away, but as Sundar Pichai noted on Google+, it's only 126 days till the mega dev conference kicks off, days that are sure to fly by. This is the seventh Google I/O and as always, interested parties will be able to attend in person (if they successfully register) or follow along via broadcasts beaming from of San Francisco's Moscone Center. Google is doing something different this year for on-sight attendee registration by having folks submit their interest in attending I/O. Applicants who make the cut will then be randomly selected and notified of their admittance, essentially leaving the choice entirely out of hopefuls' hands. More details, including register information, are due next month. Though light on hardware, Google didn't leave consumers out in the cold during IO 2013. We saw a redesigned Google Maps take shape, Google Play Music All Access, and a full-court press on Google+ photos. We also went hands on with Google Glass and met the stock Android Samsung Galaxy S4. Though it's still early, some top contenders for Google IO 2014 include Android 5, an 8-inch Nexus 8 tablet, a Chromecast update and a deeper dive into the ear piece-wielding Google Glass 2. And with its recent pick-up of Nest, we'd put cold hard cash on Google spending some time talking about the home. Slightly more far flung but certainly within the realm of possibility, Mountain View may choose to unveil the rumored Google watch at the conference. As the company expands its focus to robotics and AI, we wouldn't be surprised if there's a distinct future-y flavor to this year's meet-up. You can be sure TechRadar will be on the ground at I/O 2014, so stay tuned for more. Wearables are taking over our bodies. Read how.